Cast and Crew: Chia-Liang Liu (director, Tiger on Beat, The Legend of Drunken Master), Gordon Liu (Kill Bill Vol. 1, Eight Diagram Pole Fighter, Heroes of the East). 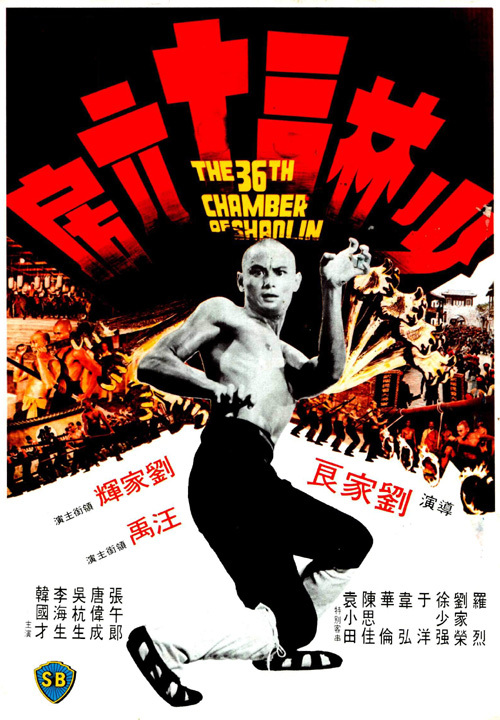 What it’s About: When an underground resistance network against the brutal Manchu Qing regime is uncovered, two students flee for their lives and seek asylum at Shaolin Temple, the mother-church of kung fu. San Te (Gordon Liu) completes the journey and aspires to join the ranks of fighting monks, but first he must be humbled by the abbots and accept their Buddhist creed. San Te persists despite the quite literal obstacle courses, seeking his dream of using kung fu to equalize the fight against the Qing overlords. Why Watch it Today: This Shaw Brothers classic features perhaps the greatest kung fu actor of all, Gordon Liu, at his very best as San Te, the Shaolin monk. Liu was born on this day in 1955. He is lithe yet indomitable in this effort, and the sheer physicality of his Hung Gar style completely captivates with his windmill forearms, steel-reinforced stances, and his signature ox-strength headbutts. The scenery and sets at the temple are beautiful while the training sequences are inspiring and ingenious (and often-imitated). The scripting is tight yet unhurriedly epic, culminating with a variety of battles featuring thrilling weapons and adversaries. This entry was posted in Martial Arts, Revenge, Uncategorized and tagged gordon liu, headbutt, hung gar, inspiration, kung fu, monk, shaolin, temple, training.